Trying to decide what speed you need is not always an easy thing to do. There are many things to take into account. 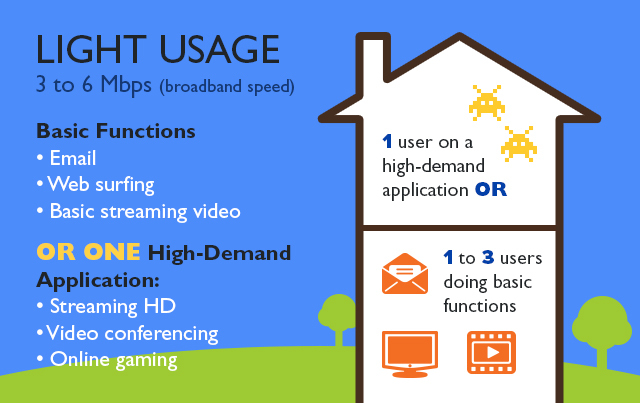 How people in your household use the Internet is a big part of that. And if your household has gamers, there’s another level of complexity. Your local ISP (internet service provider) offers combined speeds that include the download speed, or how fast information comes from the Internet into your home, and the upload speed, or how fast information goes from your home out to the Internet. The next thing you need to think about is how many devices you have connected to your network. More devices usually will mean the need for faster Internet. And because all devices connect to the Internet through a router, anyone that is going to do gaming needs a solid router — one that you have access to so you can adjust some settings as needed. You’ll want to open your eyes to the other devices on your network and understand that they could be leeching your bandwidth out from under your gaming session and causing lag spikes. This can be alleviated by getting a higher speed from your ISP to lessen the blow when computer updates start on your laptop in the living room, for example. Remember every device or app takes different bandwidth to run. Some games run 100% locally and do not require any online presence. Others are run 100% online and will not even load without a connection to the Internet. Some of us might also do more than just game, even at the same time. Do you “twitch” (live streaming that others can view) while gaming? That will require a substantial increase over a base Internet connection package to not only handle the game, but to also handle the twitch stream, especially if you are trying to broadcast your own stream. I also have friends that will not play unless they have “comms” (communications) with fellow gamers. Though this usually does not require much in the way of bandwidth over what the game already requires, if any latency (slowdown) happens on the network you will seem to notice it in the comms faster than you will in the game itself. Yet again, something you are doing alongside the game that needs to be taken into account when deciding how much speed you need. And, finally I will touch on streaming video while gaming. How many of us watch Youtube or Netflix or some other streaming service as entertainment while gaming? Sometimes it is just there as something to do between pulls while playing a MMO (massively multiplayer online game). Other times it is just noise in the background that we are really not watching. Either way, it will require faster speeds to keep streaming from interfering with your gaming. Now it is time to go to your ISP and pick an Internet package that best fits your needs. Choosing smartly will have a lasting effect on your overall performance online for gaming and streaming services, as well as general web browsing. 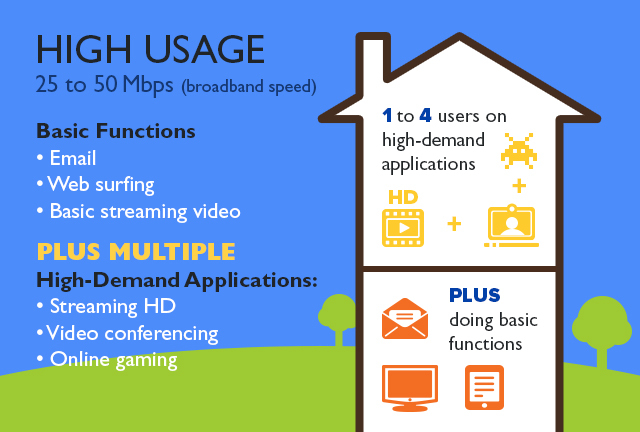 For most households, a good rule of thumb is to have 3-5M of download speed for every resident. Serious gamers may want to bump that speed up to 12-50M. It all depends on how avid a gamer you are, and how many gamers are in your household. This is by no means a solid number, but it is a place to start! And remember you can always adjust your speeds by calling your provider. 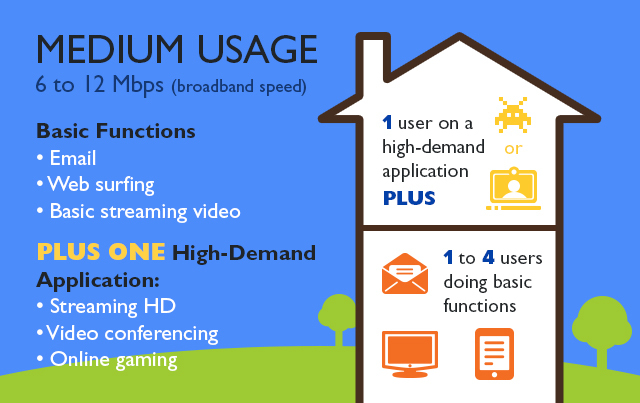 Check out our residential high speed Internet options or contact us for more information. August 2015 TeleTalk Newsletter What speed do you need?